But I am changing, if only a bit. Maturing, some might say. I prefer to think of it as expanding, appreciating the act of fishing beyond the pursuit of a meal. My epiphany came a couple years back, when I had the chance to fish for gigantic brook trout on God’s River in Manitoba. This was a catch-and-release fishery, so no take at all. Knowing this, I swallowed hard and said I’d go anyway. I am inept with a fly rod and used a baitcaster reel, but still managed to land four brook trout over 20 inches, including one weighing in at more than 7 pounds. I will never have a day of brook trout fishing like that again in my life. (I wrote all about this adventure for the magazine Garden & Gun.) And I understood that I would never have had such a day if that stretch of river was not catch-and-release only. Here in my home state of California, the closest analog to such special waters are our North Coast rivers, where winter-run steelhead rule. Steelhead. Perhaps no fish swims so shrouded in legend, or has such a manic following. Only the East Coast’s striper madmen come close to enduring the misery of icy winter casting, casting, casting, in search of living quicksilver. Steelhead, it is said, are the fish of 1,000 casts. An entire genre of fishing literature is dedicated to them, a genre that while I know exists, I have not read. On purpose, I might add, as I did not want to be influenced by others’ interactions with this iconic fish. I’ve been building my own relationship with Oncorhynchus mykiss for 13 years now. More than that, really. Long ago, as a young newspaper reporter, I worked with a guy named Tony Howard. He, like me, is an angler. And, once a year, he’d burn precious vacation time to drive to upstate New York to chase steelhead. Every year. He was passionate about it. I asked them if they were good to eat. He equivocated. I asked him what the big deal was. He said I’d just have to experience it for myself someday. He couldn’t put it into words. 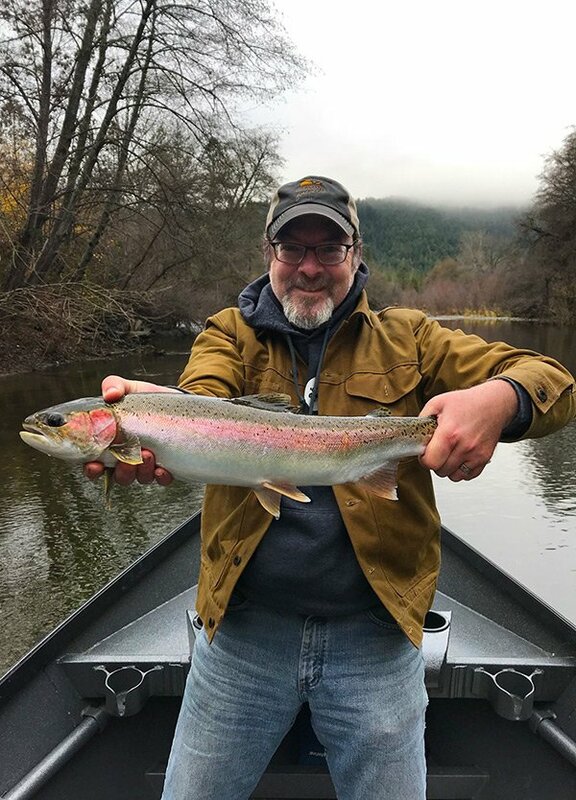 When I arrived here in Northern California, I quickly learned that unlike Tony’s New York steelies, steelhead are actually native here. But alas, wild fish are protected and must be released. Oh well, I thought, guess I won’t bother fishing for them. Later, I learned that a hatchery-raised population exists, one that can be kept and eaten. That resparked my interest. So I found a local guide to take me out named Jon Harrison, who runs Five Rivers Guide Service. Jon fishes the Trinity River, west of Redding. I managed to catch a hatchery fish on that first trip, back in 2008. I’ve fished with Jon ever since, usually around Thanksgiving. This year we met in Weaverville for our annual trip. Our day dawned gray and misty, with a damp chill that seeps into your bones and tightens the skin on your hands. 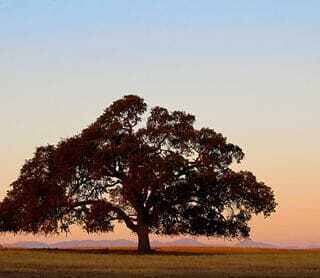 Winter in the Coastal Range. 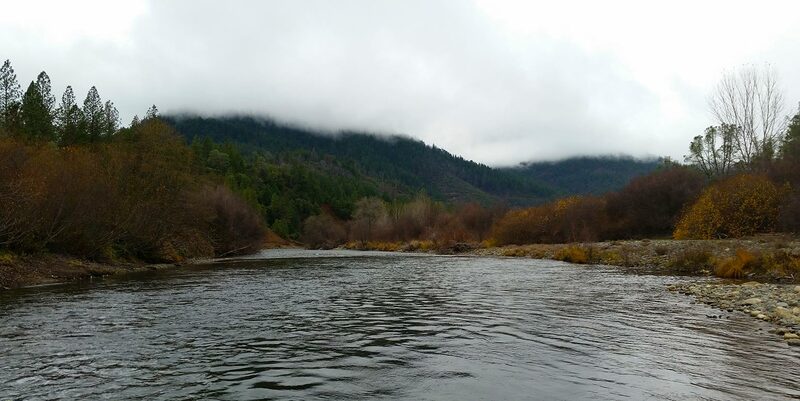 A steelhead trip in this part of the world means a trip downriver in a drift boat. If you’re not familiar, they are motorless boats you put in upriver, and float down to a prearranged spot, fishing likely holes along the way. It requires a bit of shuttling vehicles. The advantage is that you get to work very shallow stretches of river — and you’re quiet. You can hear the river, the wind. The nasal peenting of nuthatches, the gronk! of ravens and the strange chittering of bald eagles. You can also hear steelhead jump, usually where you’re not looking. The quiet lets you wrap the river around you in the way that fishing with the mechanical racket of an outboard will not. Jon knows I am no good at fly fishing, although I am learning slowly. Steelhead are not the fish to practice on either, so Jon brought a nifty set-up: Spinning gear spooled with floating line that terminated in a bobber, split shot, and a pair of flies with barbless hooks. Some were eggs, some were bugs. “Basically, you’re fly fishing with spinning gear,” he said. Baby steps. The fish of 1,000 casts indeed. Cast to a specific spot, mend the line so there are no big bows in it — these represent slack that can let a fish escape in the moment you try to button yourself to it. “This is finesse fishing,” Jon said. I am a good salmon angler. I rarely let one get away, even on a barbless hook. But to an angler, steelhead aren’t salmon, although they are biologically very close. Salmon are all brute force. They are powerful, willful and strong. Steelhead are mercurial, agile and a little crazy. If this were Game of Thrones, salmon would be The Hound, or his brother The Mountain. Steelhead are Arya Stark. It didn’t take too long for the bobber to drop. “Down!” Jon shouted on instinct; I was staring at it, too. I flipped the bail on the reel, pulled the rod back a bit and set it parallel to the river. Fish on! It was not a large fish, but it was absolutely a steelie. Tearing runs up and downstream, bending itself almost double in an attempt to throw the fly. But, as I said, I am good at fishing barbless hooks, and we soon had the fish in the net. My eyes immediately went to its back. It still had its adipose, a little fin between the dorsal and the tail. A wild fish. Jon’s eye’s focused on the dorsal. “A tag!” Sure enough, there was a little loop of green plastic clipped just behind the dorsal fin. Jon clipped it, we got a quick picture and slipped the fish into the water, where it zipped away happy, no doubt, to be free of its bling. “You just made $20,” Jon said. He said this was the third such tag his clients had retrieved this season. Pretty cool! We had competition on the river, with several boats behind us. The trick is to fish all the good holes first, Jon said. He said he got caught behind a fleet of boats right after Thanksgiving and did not do well. The early rod gets the fish. So we fished holes fairly quickly, pausing to let other boats pass us only when we’d arrived at especially good spots. Some hours later, we stopped at a so-so spot, a rock wall where biologists had dumped a huge amount of downed trees and brush to act as habitat for steelhead and salmon. I dropped the flies upstream, let them float past the brush, and wham! A bite! Fish on! A larger one, too. Again, the twisting, running, head-shaking. But I had control of this fish, too. Jon netted it. This steelie was about four pounds, a bit larger than the last one. And it was a hatchery fish, so I’d have dinner! “No way,” Jon said. What? “Look.” Another $20 tag! Jon said the odds of getting two tagged fish were astronomical. I was just happy to have a fish to eat. Good thing, too, because the fishing shut down after that. Cast after cast after cast. Jon was shocked, but I wasn’t. Talk to any serious steelheaders and they’ll tell you about long droughts lasting days, not hours. And I’d caught two fish already. I was happy. Still, would be nice to tie into a serious steelie. I knew what these fish were capable of, and I hadn’t really seen it yet. The sun began to wane. We’d been fishing nearly eight hours. It had been more than four hours since I’d caught that hatchery fish. Time to go home. DOWN! Jon about jumped out of his skin. I tightened the line. Buttoned up! This was a serious fish, the the steelhead I’d been longing for. Bigger, wilder, crazier. I kept pressure on the fish, and a 90-degree angle on the rod. But this fish would not be controlled. The line went slack. “It’s off,” I said, not totally believing it. Chinook often swim right to the boat. I kept reeling hard. Jon wasn’t kidding. This steelie was not like the others. I could feel it rolling and twisting and bending itself in half, trying to break the fly. Jon picked up the anchor and we floated downstream after it. Line screaming off my reel. The fish switched directions, toward the shallows. Damnit, damnit! It’s headed into the… ping! Shallows. Gone. Out of my life forever. Hook bent outwards. My hands shook a little. I was breathing hard. This was steelhead fishing. That is indeed steelhead fishing. Not a trout, not quite a salmon, steelhead are living lightning covered in iridescent scales. And while it would be easy to say that you cannot tame lightning, that’s not true in this case. 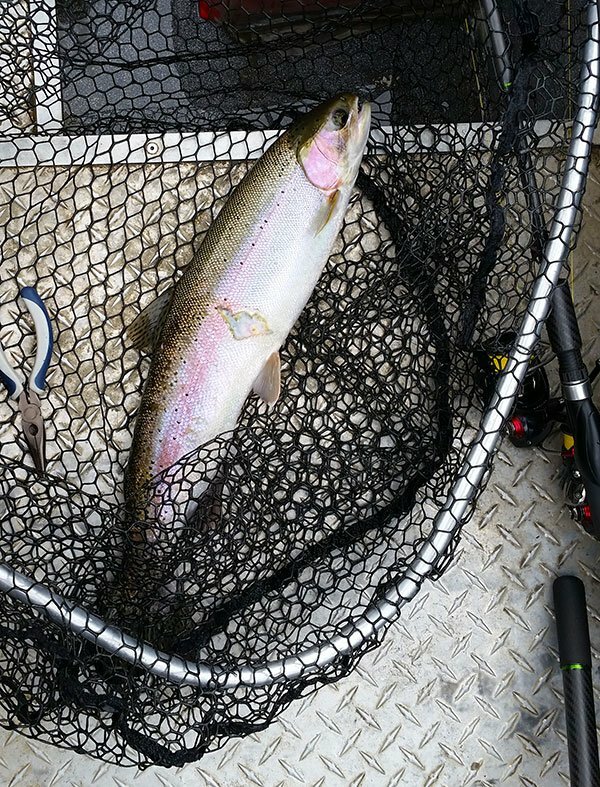 After all, steelhead are just sea-run rainbow trout. And rainbow trout have become the most domesticated, bred-out and tamed trout in the world. Supermarket trout is rainbow trout, albeit debased shade of its true self. An “entirely synthetic fish,” as author Anders Halverson put it. Steelheaders know this. And we also know, in our heart of hearts, that our fates and that of these fish are linked. We humans have domesticated ourselves, tamed our nature to a point beyond recognition. We are to what we once were what that sad supermarket trout is to the fish that so easily escaped me. 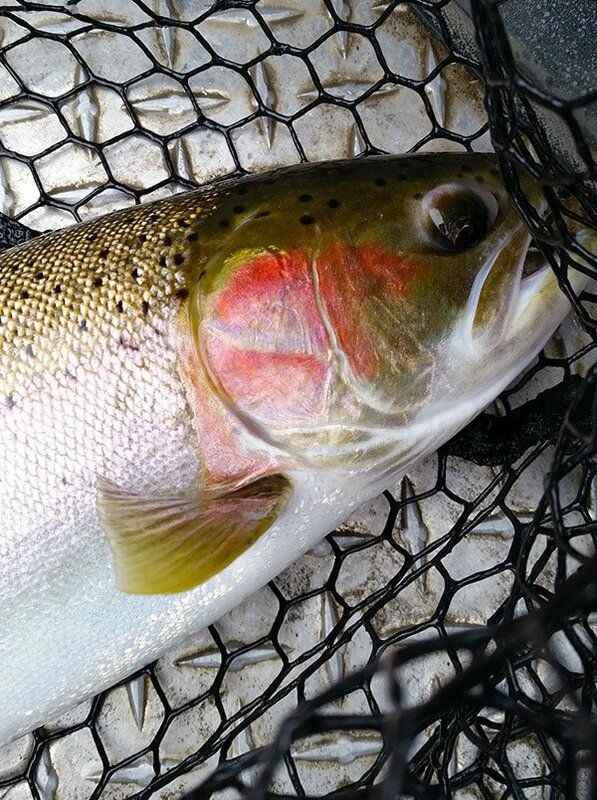 To seek steelhead is to seek wildness, to embrace the river wholly, chasing that which is best in trout. And in so doing, that which is best in us. Delve deep into the world of hunting, fishing, cooking, ethics, and life, here on Hunter Angler Gardener Cook. Great piece Hank! I consider myself an avid steelhead fisherman, and you hit the nail on the head with this one. 2 Thumbs.